Ok y'all. So as Hannah and I hinted at about a month ago, we are going to hosting a Re-Read Challenge for 2015. Now I know what you're thinking. Yeah, yeah ANOTHER challenge. I don't want some complicated challenge rules to follow. I don't have time to re-read because I don't want to get behind on reviews and posts. I haven't re-read a book since starting blogging. Well, rest assured because we have an answer for every excuse you may have! I don't want some complicated challenge rules to follow. We definitely don't enjoy those challenges either so we want to make it as easy as possible for not only you but for ourselves as well! Here's how you join! Link up at the bottom of this post with a link to your intro post stating WHY you want to join and WHAT books you're looking forward to re-reading. Post anytime from now through January. Then on the 1st of each month, or around there we know you get busy too, create a post that lists the books you re-read in the past month. Link up to our posts...and that's it! You've earned your Re-Read bragging rights for the month! I don't have time to re-read because I don't want to get behind on reviews and posts. Boom! You're done! Post it. Link back to us. 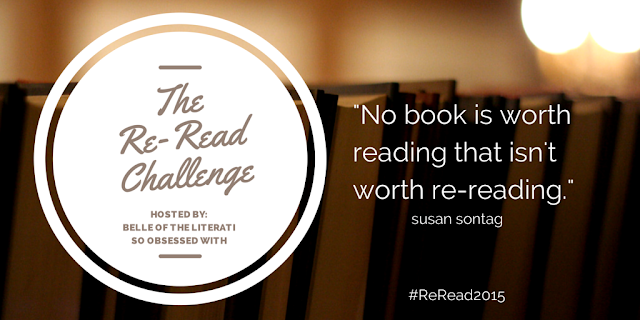 Tweet with hashtag #ReRead2015 and you have a post for not only your blog but for the challenge as well! Each post you link counts as an entry to our giveaways. I haven't re-read a book since starting blogging. Now's the time to start! Take the time to relive the magic of your favorite books. Let yourself re-inhabit your favorite stories and world and remember what it was like the first time around. You never forget your first...but your second and third can be just as great. Tomorrow I'll be posting an example of a re-read post because I have re-read several books this year and they were all just as amazing the second time around...if not better. I'm also SUPER excited to share which book I plan on re-reading next year!...And books I'm actively holding off re-reading until next year so they can count for the Challenge! I'll use the format detailed above, so you can see how easy it is to re-read AND have new content for your blog. In January, I'll share my kickoff post with the books I'm hoping to re-read. The graphic in the sidebar will link back to this post, so you can sign up any time! 1. This challenge will run from January 1, 2015 - December 31, 2015. The sign-up linky will remain open until the end of January, but you can join at any time but adding your intro post to any monthly re-read recap linky. 2. Any genre, length or format of book counts, as long as it's a re-read. 3. We will have two giveaways - one at the six-month point and one at the end of the year. Giveaway details posted closer to the halfway point! 4. You don't have to follow our blogs to participate or be entered in the giveaways. 1. Write a post about joining The 2015 Re-Read Challenge on your blog. In the post, include the banner, a link back to our sign-up page, the number of books you'd like to re-read and list some books you're hoping to re-read for the challenge. 2. Add the direct link to your sign-up post in the linky below. 3. Optional: Put the challenge button in your sidebar (grab link available at the bottom of the post). 4. DONE. It's as easy as that to get started. 2. In the first week of each month, we will post a re-read recap on Belle of the Literati and So Obsessed With that includes a linky that will be open all month. Write a post detailing what you re-read the last month, and add the direct link to our linky to be entered in our giveaways. 3. If you write any re-read reviews (it's totally optional! ), add those to the monthly linky for additional entries (one per post) in our giveways. 4. If you miss a monthly post, just link up your reviews and/or recap in the linky during the next month. So, who is ready to re-read?! 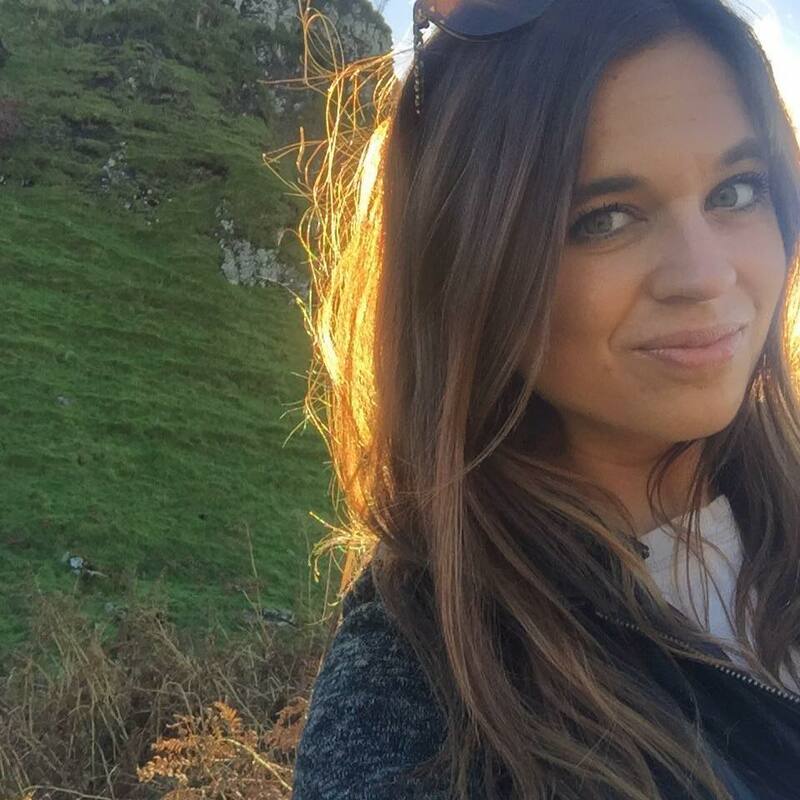 Check out Hannah's post to sign up! I am thinking about doing this because I never re-read but I am wondering if I only re-read one or two books in a month can I just include a recap in my monthly wrap-up posts rather than dedicate a whole post to it? I'm so on board with this re-read challenge, as you know! I absolutely enjoy re-reading novels, particularly some of my favorites or the ones in a series I love. So thrilled you girls decided to do this, and I will most definitely be signing up! I recently have been thinking about re-reading some of my classics, what a great challenge!